The Anglo-Saxon Chronicle reports that “on Christmas Day archbishop Ealdred consecrated him king in Westminster; and William gave a pledge on the Gospels, and swore an oath besides, before Ealdred would place on the crown on his head, that he would govern this nation according to the best practices of his predecessors if they would be loyal to him.” The William the chronicle speaks of was the Duke of Normandy, who just ten weeks earlier had defeated and killed King Harold Godwinsson at the Battle of Hastings. What took place between October 14th, 1066 and December 25th, the day William was officially crowned the new King of England? This topic has been explored in the recent article, “William the Peacemaker: the Submission of the English to the Duke of Normandy, October 1066 – January 1067” by Paul Dalton. He found that in the weeks and months after the battle, the leader of the Normans effectively used diplomacy and negotiation to complete his conquest of the Anglo-Saxon kingdom. In the aftermath of the Norman victory at Hastings, Duke William had hoped the remaining English leaders would surrender. Instead, they went to London and choose Edgar the Ætheling, grandson of Edmund Ironside, to be their new king. It seemed that another military engagement would be likely. It emerges first at Dover. Its citizens were prepared to surrender, but some of William’s men burnt part of the town. William ‘paid for the repair of the buildings and gave compensation for other losses.’ But references to William expelling Englishmen from their homes to provide his soldiers with lodgings, strengthening Dover’s fortifications and installing a garrison indicate that imposition of harsher terms of surrender. His actions were probably intended to intimidate other English strongholds into submission. ‘Immediately terror spread out beyond the town to all neighbouring cities, boroughs and places.’ Fearing complete destruction, Canterbury despatched messages to offer William tribute, fealty and hostages. ‘Afterwards many more [settlements], holding firmly to their own rights … made gifts to the king’. English settlements unprepared peacefully to submit and offer William loyalty, security and money faced the loss of rights or destruction. But William was also prepared to offer terms, including protection and the preservation of urban privileges to encourage such surrenders. Evidence can also be found that William was prepared to make deals with the ruling elite of England, such as Queen Edith, the widow of Edward the Confessor, who was able to keep much of her land and wealth in return for her submission. So did Stigand, Archbishop of Canterbury, who came to William and renounced his support from Edgar the Ætheling – he would keep his ecclesiastical offices for another four years. submitted out of necessity after most damage had been done…and it was great folly that they had not done it earlier, since God would not make things better, because of our sins. And they gave hostages and swore oaths to him, and he appointed them that he would be a gracious lord, and yet in the meantime they ravaged all that they overran. Soon after London also submitted to William after threats and offers were made, which paved the way for the Duke to get his coronation at Westminster Abbey. In the following weeks more deals and submissions were made, allowing the new king to solidify his hold on England. There is no doubt, and the point should be emphasized, that the talks involved William threatening and terrorising the English into submission, and demanding (at sword point) homage oaths of loyalty, hostages, money, gifts and other acts of supplication: but the English surrenders were far from unconditional. The peaces they made with William were often contractual, involving obligations on both sides. Some of the English negotiators made demands to William before submitting, and William often confirmed (for a price, and in the short term at least) many English leaders in their dignities, lands, offices and rights, and made more general promises about ruling the English well; though his assurances were not to endure and might have not been entirely sincere. 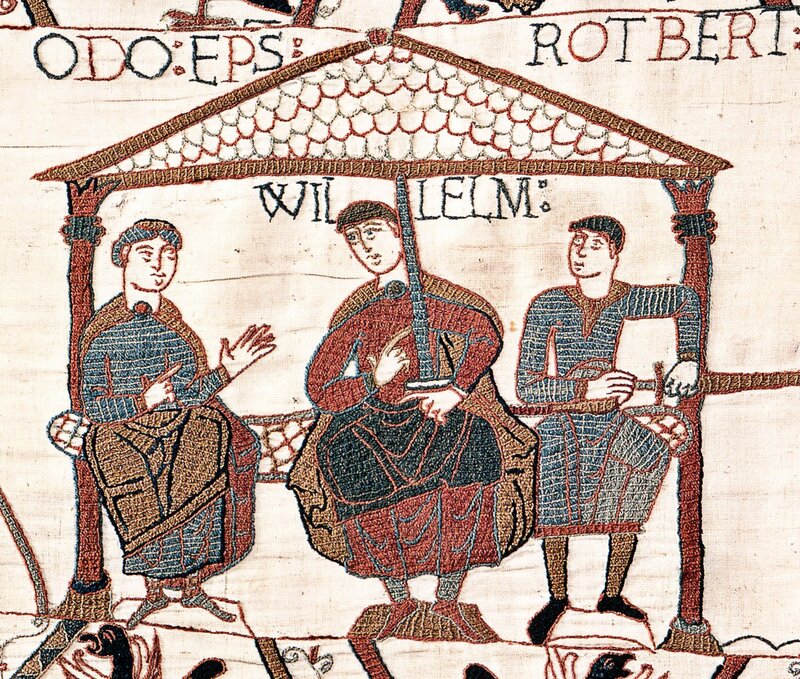 The article, “William the Peacemaker: the Submission of the English to the Duke of Normandy, October 1066 – January 1067” appears in Rulership and Rebellion in the Anglo-Norman World c.1066 – c.1216: Essays in Honour of Professor Edmund King, which is edited by Dalton along with David Luscombe. Published in 2015 by Ashgate, it has over a dozen articles, including pieces by Judith A. Green, Katharine Keats-Rohan, Paul Latimer, David Crouch and Nicholas Vincent.